The Manaslu Circuit trek is a stunning 17 day journey (21 days including travel and days in Kathmandu) which treks around the world’s eighth highest mountain, beginning in the busy market town of Arughat, going up and back along a different path, ending in Besi Sahar. This is a trek for someone who wants something different in Nepal but still offers the most striking and jaw dropping scenery. Many people like to trek the Manaslu Circuit to the Annapurna before it got busy! It is in a region which was closed to outsiders until the early 90's and tourism is still restricted. It is also not quite as high as the Annapurna Circuit and really is a stunning and less trodden path. You can trek the Manaslu Circuit from March to June, and September to November. The start dates on the website refer to the arrival date in Kathmandu and the end date refers to the earliest you can book your return flight home for. However you are welcome to arrive earlier or stay on at the end, and stay in our guesthouse in order to spend more time sightseeing in Kathmandu. We also run private treks so feel free to call and discuss your plans with us. Generally it is hot during the day (up to 20ºC) and cool in the evening (average 5ºC) with little wind and occasional rain showers in the afternoon. After Lho village, the trail enters the Nupri Region inhabited by Tibetan immigrants, where you will find yourself becoming close to culture, religions and local people. The approach towards Larkya La pass begins after Samdo village. Crossing the high pass is a strenuous day and the exposure to altitude makes the walking harder and the likelihood of altitude sickness higher, so it is necessary to allow rest days and walk very slowly. This day would be a great objective for a fit hill walker with little mountaineering experience. The top of Larkya La provides astounding panoramic views of Manaslu, Cheo Himal, himal Chuli and Himlung Himal. The terrain is never dangerous or precipitous, it is still just a walk, but requiring the usual care and caution. There is no climbing or special equipment required on the Manaslu Circuit trek but it is obviously important to have good equipment and adequately prepared for multi day walking. 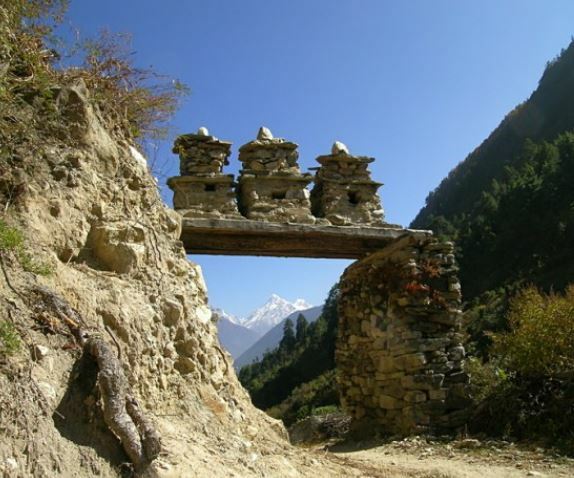 For more information and booking please visit Adventure Alternative - Manaslu Circuit Trek. For a more detailed itinerary click here.